As storms swept through Northeast Ohio, one city seemed to get the worst of it. SHELBY, Ohio — After getting inundated with calls and messages from residents, Shelby Police Chief Lance Combs addressed the discussion about the tornado sirens and their activation process in a Facebook post late Sunday night. I have been overwhelmed with calls, coordination and messages for hours. It is my understanding that there have been some discussions regarding the tornado sirens and their activation. If there are problems, they fall on my shoulders. The police department activates those sirens for the city of Shelby. We normally receive specific alerts and warnings for northern Richland County and that is when we typically activate the sirens. The alert we received today was general to Richland County and not specific to the Shelby area. 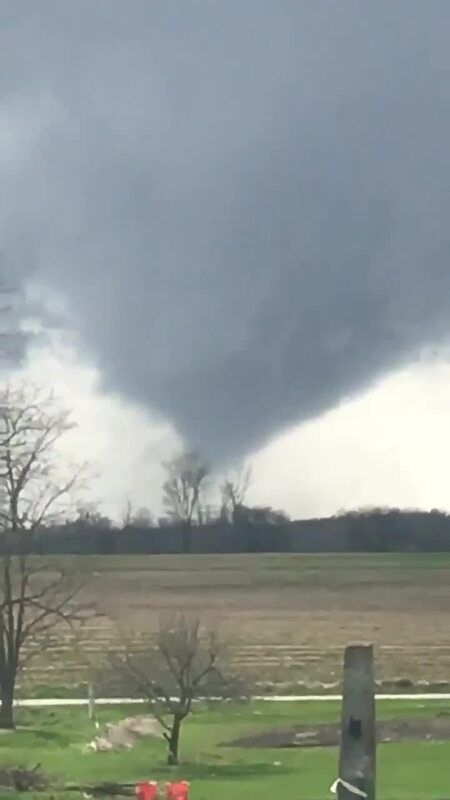 Within a very short time, the department received a report of an active tornado near or on SR39 and the working supervisor activated the alert sirens. That did occur before the tornado caused the damage across 39. If the sirens were not activated soon enough, I take the blame. What we have tried to do is monthly testing with notification and been judicious in their use to avoid people ignoring the sirens when there is an immediate threat.